It has long been documented that kids who read, succeed. There is no shortcut or way around it. Academic success finds those who read. This isn't really news to anyone, but a study came out a couple of years ago by the OECD that found that not only do kids that develop good reading habits early find more academic success as teenagers, but also that those kids whose parents play an active role in their children's early years in school and early literacy end up an average of six months ahead of their peers when they reach their teens. The study looked at kids from 14 different countries, and the results were similar: kids whose parents read to them several times a week and talked about what was read with their kids, developed good reading habits that lasted. This study reminds me of the most common question I get asked as a teacher at Happy Kids: "What can I do to help my child improve his English at home?" My answer is always and invariably, "Encourage her to read and read to her often." No other single thing you can do can have such a greater positive impact on your child's future academic success and language development (including foreign language development) than establishing reading habits. Of course, whose got time for this? Parents are busy these days, and kids are too. With working late at the office, the kids' homework, piano lessons, and other activities, who can find the time to work in one more thing? Believe me, I understand. However, making time to read together as a family doesn't need to take much time. Do you have 10 minutes before the kids' bedtime? 10 minutes in the car on the way to school or another activity? Why not turn the TV off on a rainy weekend? For something this important, it is important to make time. How many extra classes or study hours could your child avoid in the future by getting ahead now? All it takes is some time for reading starting in Kindergarten and first grade. For older kids, it can be harder to get good reading habits established, especially English reading. If your child already has an aversion to books, try "tricking" her into reading by doing activities that don't involve books, but do involve reading. Scholastic's website for parents has some good ideas. Take some time to read their suggestions. My favorite suggestion is the games. Both board games and video games can really help develop reading and other academic skills if you are careful about which games you choose for them to play. 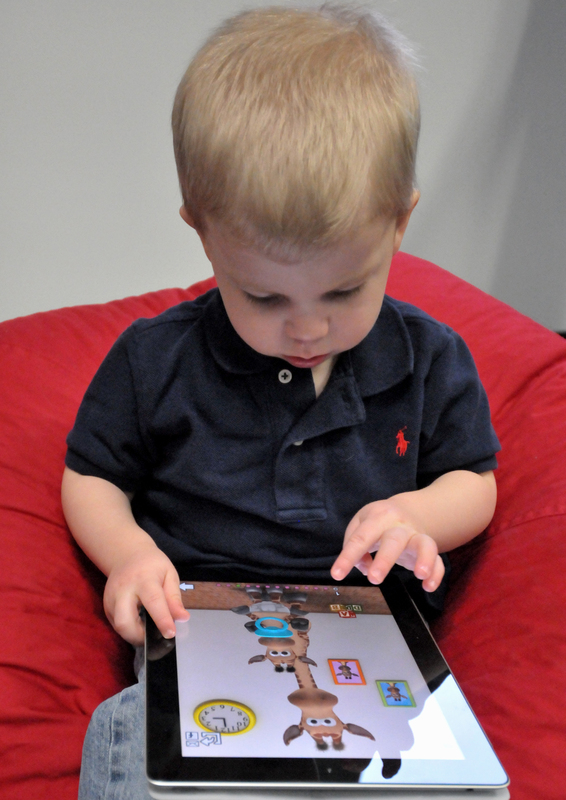 If the kids like the smartphone or tablet games, there are plenty of apps out there that are fun AND educational. Richard Byrne, world-famous education technology blogger has two great blogs (iOS devices and Android devices) on educational apps for kids of all ages. Remember, safety first! Preview any apps yourself before letting your child use it. Oftentimes, making the time for reading isn't about finding time, it's about doing the work. Reading to your kids is work, but there are few things more fun and rewarding than when your child starts picking up new words and reading along with you. Stick to a routine. Limit the times in the house when the TV is on. Soon, you will no longer hear, "Daddy, can I watch TV? ", but, "Daddy, read me a story!" I hope this article was helpful. Please feel free to contact me if you have any questions.